The proliferation of food holidays might get annoying if it didn't offer so many chances to indulge in free snacks. To keep the national food days coming at a breakneck pace, they have to get quite specific. 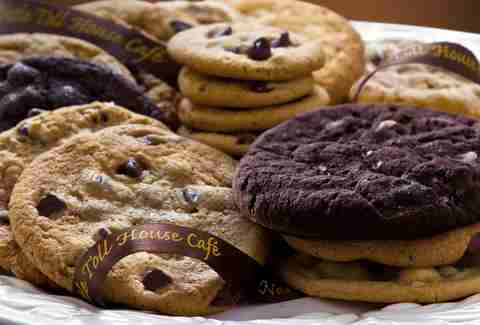 Here's where you need to get yourself if you want to indulge in free or cheap cookies on National Chocolate Chip Cookie Day. The deal: Download the 7-Eleven app and get 800 complementary 7Rewards points. It's no cryptocurrency, but you can use them to get yourself a free two-pack of chocolate chunk cookies, made fresh in the 7-Eleven bakery daily. 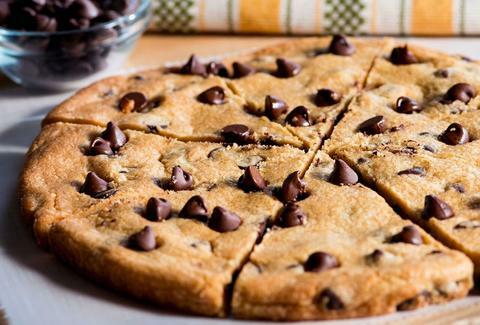 The deal: Grab a free dessert from the mouse with the purchase of any large pizza. Dessert options include a giant warm cookie (hey! cookie day! ), cinnamon dessert pizza, small Dippin’ Dots, and churros. All you have to do is mention the coupon code #5585 to your server. The deal: New app users get a free oatmeal chocolate chip cookie when they enroll in Potbelly Perks. The deal: Get five of Nestlé's legendary cookies for $5.15. It's not free, but they're warm and delicious. The deal: If you place an order of at least $9.95 you get a free Pizookie at BJ's in Valley Stream, Mentor, and South Hills. At all other locations, the big cookie and ice cream treat will only be $3 for the day (normally $6.95). The deal: Get your chocolate chip cookies from the Culver City or Pasadena location, have them make a sandwich, and you'll get 10% off your order.